As the non-renewable resources of our planet threaten to become depleted, scientists have started looking for alternative and sustainable sources. Wind is such a resource, but even though most of us are familiar with the concept, how does wind energy work? Wind is one of the lowest maintenance, lowest cost energy production methods humans have discovered so far. Wind energy is the result of harnessing the natural movements of wind, capturing it through turbine blades, and converting the energy into electricity via an electromagnetic generator. Just like with solar energy, the sun is also responsible for wind energy. The wind is the result of the sun heating our atmosphere in uneven ways; it also depends on the rotation of the Earth and the irregularities of the Earth’s surface. Some factors that influence wind flow speeds and patterns are seasons, bodies of water, and variations in terrain. Wind’s power is also used for sailing or flying a kite, but the most important usage is generating electricity. Unlike fossil fuels, the wind is an infinite and clean source of energy, fairly immune to the volatility of the non-renewable resource industry. Even though wind turbines and the U.S.’ current system of using wind turbines is fairly new, wind energy and its usage is not a new concept. Windmills and sail boats are two of the most used examples of how humans have learned to harness the wind’s energy. It was also used to process grain and pump water. In modern times, wind energy is not only a clean source of electricity, but also comes with low ongoing costs. You don’t need constant labor or raw resources to harness wind’s power: just set up the turbine in the wind’s way and plug into the electrical power. Both wind and solar energies are a big thing in the European Union. In 2009, studies showed that 48 percent of the world’s installed wind power capacity came from the EU. Back then, wind turbines installed in the EU alone produced 163 TWh (terawatt hours) of electricity – preventing the production of 106 million tons of carbon emissions. Wind turbines have become a familiar sight in many parts of the U.S. Whether they’re installed together in wind farms or separately for individuals use, the principle remains the same. The large turbine blades move with the wind, which in turn spins a generator shaft and produces energy. The resulted electricity can then be used in various ways, either to charge batteries, be connected to the main power of a single home or building, or connected to the national power grid. The latter allows for a more widespread electricity distribution. For all the visual learners out there, check out this animation that explains the simple principle of a wind turbine. Usually, the wind flow spins two or three blades around a rotor. Then, given that the rotor is linked to the main shaft of the wind turbine, that helps rotate a generator that creates electricity. To capture the most wind energy, wind turbines have to be mounted on tall towers. Faster and less turbulent wind can be captured at approximately 100 feet (30 meters) above ground. Not all wind turbines have been created equal. They come in all shapes and sizes, depending on their purpose and the amount of electricity the need to generate. Wind turbines are divided in two categories: (1) large scale wind farms and (2) small scale wind turbines. The latter are usually enough to power a single home or building. The smaller wind turbines (such as 500w rated turbine generators) can light or a few appliances. Larger scale turbines (2kw rated) can power an entire house, and also sell the surplus to the national grid. The blade turbine is the most common, but there are also the newer vertical axis turbines. These are somewhat smaller and lower to the ground. To understand how does wind energy work, we need to talk about the elements involved in a wind turbine. Technically, only the huge rotor blades we can see on the front of a wind turbine are the “turbine” part of the system. The two or three blades attached on the top of the tower have a special curved design. They mimic the airfoil wings on an aircraft. You know how the wind blowing past a plane’s wings creates a lift movement? See, when it blows past a turbine’s blades, it generates spinning instead. Evidently, the amount of energy that a turbine produces is proportional to the area swept by the blades. In other words, longer rotor blades make for more electricity. Then, there’s the generator, a vital part of all turbines. Think of it like an enormous dynamo on a bicycle. The “dynamo” generator is powered by the turbine’s rotor blades. While there are different types of generators, most of them follow the same principle. For most turbines, the gearbox is another key part. Seeing that the wind cannot spin the blades at a high speed, the gears in the gearbox come in to increase the motion. In turn, the drive shaft spins quickly enough to drive the electricity generator. Are you interested how does a wind turbine work in detail? Check out the video below for a more scientific explanation. Producing more electricity is also influenced by the wind turbine’s location. When the wind blows twice as quickly, the turbine can potentially harvest eight times more energy. Given that wind flow is inconsistent, so is the electricity generated by a single wind turbine. 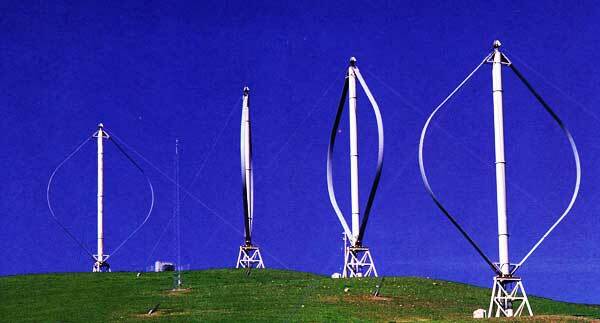 However, one of the best solutions to wind variability is to link more wind turbines together into a wind farm. The result is a much more steady supply overall. Now, do you feel like you could explain how does wind energy work? While the basic principles are easy to understand, the science behind this renewable source of energy requires a bit of physics knowledge. Wind energy is one of our best chances of harnessing a sustainable resource for our daily use.